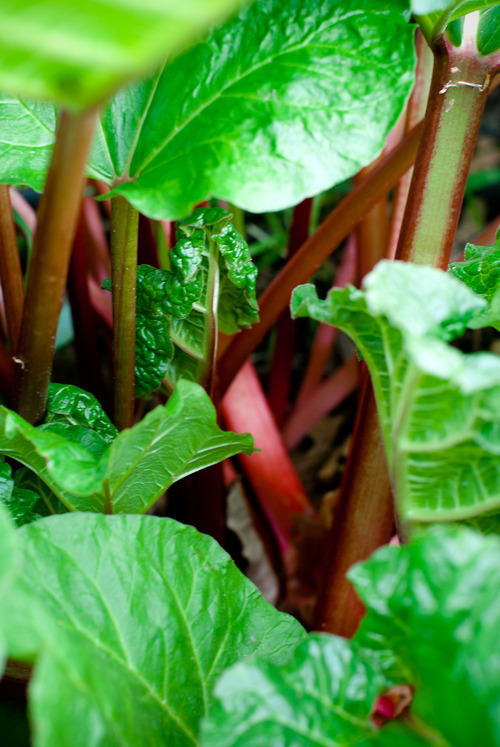 Rhubarb is really a beautiful plant, with its lovely red stems and broad leaves. If you don’t intend to harvest the stems for eating, the plant will send out some spectacular flowers. Rhubarb can grow rather large in the right environment and it’s easy to grow without a lot of fuss. So lets see now, hmmm, good-looking, vigorous growth, easy to grow and low maintenance. Why wouldn’t you grow Rhubarb? What’s Not to Love? Ah, well, here’s the thing. Climate Is Everything. The Rhubarb that did so well in Oregon, with its cold winters and mild summers might not thrive at all in many parts of Texas (Zones 28, 30, 33) – or Southern California (Zone 22) – or the Arizona Dessert area (zone 12) – or in hot-humid Louisiana summer (zone 31). Rhubarb requires a chilling period below 40 ° F to go dormant and to stimulate spring growth, and it needs summer temperatures averaging less than 75 ° F for vigorous vegetative growth. Rhubarb needs the cold. The Northern U.S. and Canada are really well suited for rhubarb production precisely because of the cold. Northern states from Maine, south to Illinois, and west to Washington State, are the best growing climates. 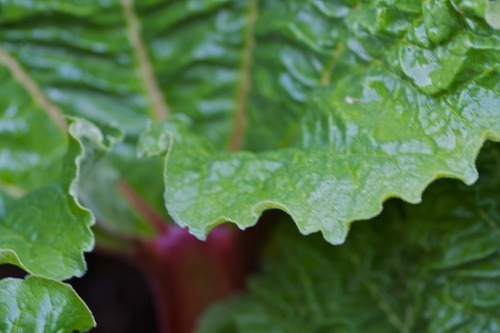 Rhubarb usually doesn’t survive in southern climates, because of the hot, dry summers and/or too mild winters (although there are stories of the exception that you can find on gardening forums). 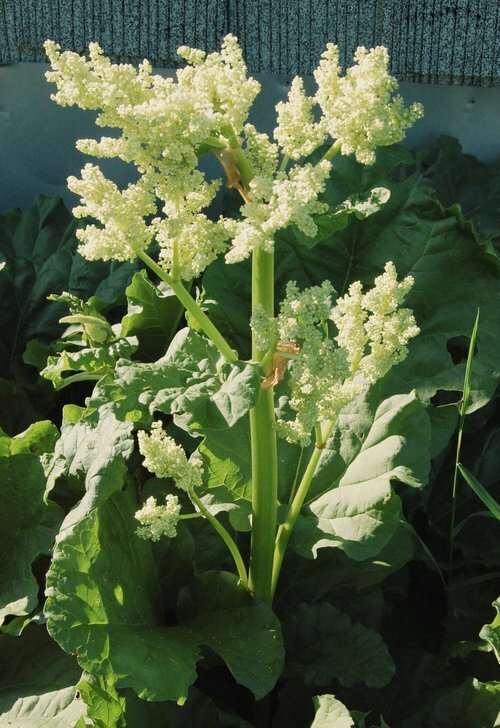 If Rhubarb does survive the heat, it wont grow well and will most likely produce only thin leaf stalks, which are spindly and lack color. 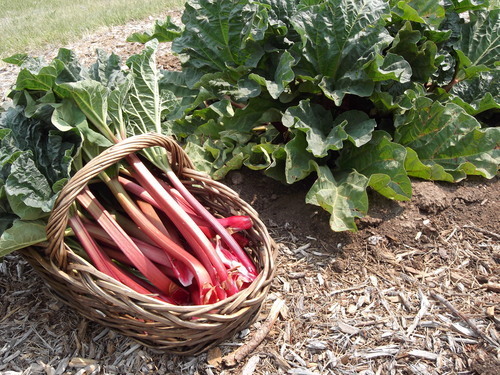 Rhubarb will wilt very quickly on hot days (over 90 °F). 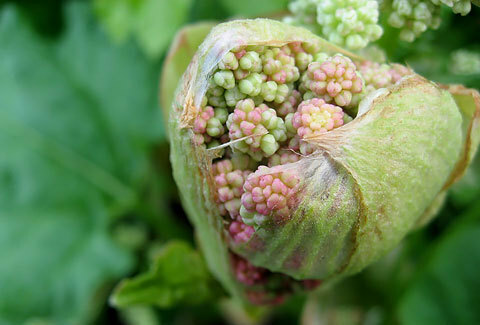 The Growing Zones for Rhubarb are 1-11, 14-24, 26-45; but really, the best zones are 1-11 and 34-45. 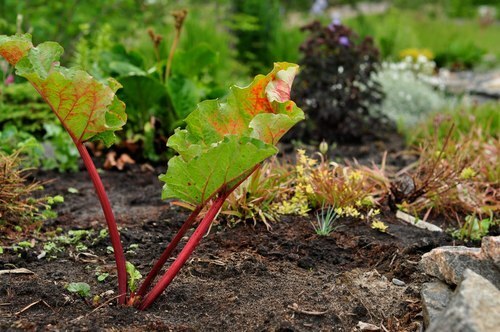 In the end though, it’s really your decision, if you have your heart set on rhubarb in your garden and you don’t live in one of the optimal zones, then plant it anyway and see what happens. It might not work, and if not, then you move on and try something else. But if does work, then you have a really lovely plant that you can not only admire, but enjoy the bounty it brings. . .
. . . oh, and you get bragging rights too.